Mike Huggins was unhappy but financially comfortable at his corporate job. Seeking out yoga for a bad back, he discovered a passion. But then everything went downhill, fast. He and others in his company were charged with a corporate misdemeanor. He lost his job. He spent over 2 years awaiting trial. For the first time ever on this podcast, Mike Huggins speaks the story that changed his life drastically. He shares how yoga was his salvation during the nightmare of being locked up. He shares how he took this nightmare as an opportunity. Now he’s transforming people’s lives. People who everyone else had given up on. I hope this session inspires you as it has me! 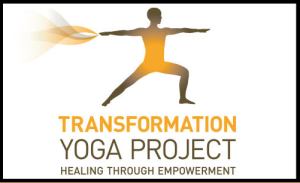 Transformation Yoga Project – the non-profit Mike has founded. Street Yoga – where Mike learned about teaching yoga to students with trauma. James Fox’s – Prison Yoga Project, a book and organization which helped him. What would you turn to to get you through a traumatic event? Start the conversation in the comments below! Please support this free podcast by sharing it with all of your friends and leaving us a review on iTunes. P.S. Don’t miss a single episode! Get Yoga Stories Project delivered right to your inbox. Click here to get my weekly newsletter.